Screening for gum disease forms an integral part of your routine examination. 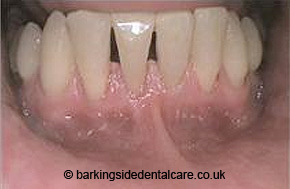 Gum disease describes swelling, soreness or infection of the tissues supporting the teeth. 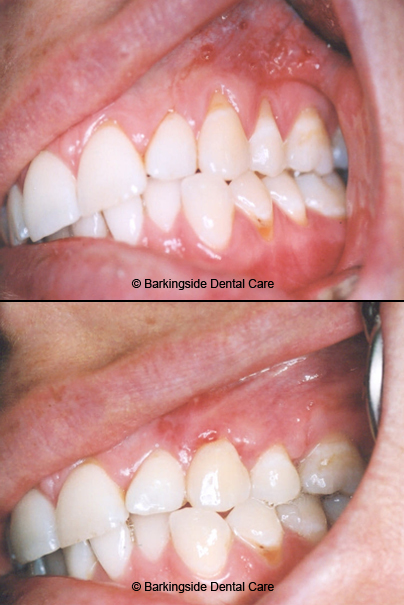 There are two main forms of gum disease: gingivitis and periodontal disease. Research has now shown that Periodontal disease affects almost 90% of the adult population. 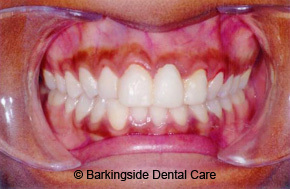 Usually , people do not show signs of advanced gum disease until the age of 30 or 40. However, severe gum disease can affect younger adults and adolescents. Men are more likely to have Periodontal disease than women . 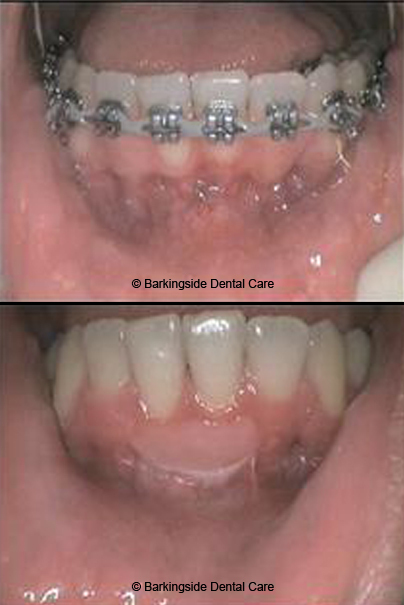 Most commonly , gum disease develops when plaque is allowed to build up along and under the gum line. Research has shown that bacteria that cause gum disease may be transferred with saliva. It is important that the patients suffering from periodontitis do not share their toothbrushes with other members of the family. It is also important that partners of patients suffering from periodontitis seek professional advice once they notice signs of gum disease. 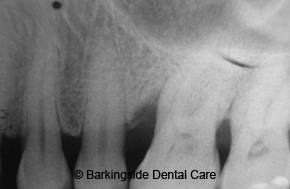 What other factors contribute to periodontal disease progression and/or initiation ? 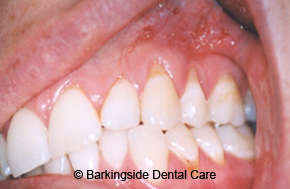 Smoking : it is one of the most significant risk factors for developing periodontitis. Also, smoking can actually reduce the effectiveness of treatment and smokers have been found to have deeper pockets and more advanced bone loss. Diabetes : can put patients at a much higher risk for developing infections including periodontal disease and if it is uncontrolled can lead to severe periodontal destruction. Also, untreated periodontitis can have an effect on the patient’s metabolic control and make it difficult to balance sugar levels in the blood even after taking medication. Stress : reduces the body’s ability to fight infection especially if it is severe . The above impact of stress on our immune response can also affect our ability to fight periodontal disease. Poor diet : A diet which is low in nutrients it might affect the body’s natural response to infections. Certain dietary habits may affect the tooth structure which in turn can favour plaque (bacteria) accumulation. Frequent sugary snacks in between meals can increase plaque formation and predispose to dental caries. Genetic susceptibility : means that some people are more prone to develop severe periodontal disease than others. Illnesses such as Cancer , Aids as well as their treatments can affect gum health. What can be done to prevent gum diseases? Brush your teeth for two minutes twice a day using a fluoride toothpaste and a toothbrush which is regularly checked so it gets replaced when it gets worn. Have your tooth brushing technique and the different brushes you might use to clean your teeth checked regularly by your dentist or hygienist. Visit the dentist for routine dental examinations the frequency of which is tailored to your individual needs. Your gum health will be checked during those visits so that periodontal disease is detected early enough. Visit the dentist and hygienist for regular cleanings . Have regular health assessments via your GP if there is a strong history of diabetes and heart disease in your family . 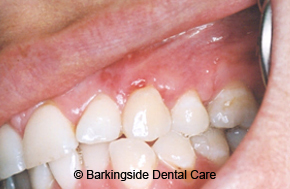 Gingivitis : It is a mild reversible form of gum disease and it can be dealt with by regular visits to the hygienist. 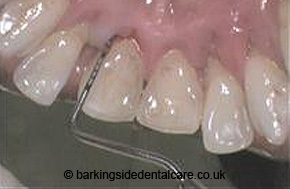 The dentist or hygienist will educate you on tooth brushing techniques and oral health and remove deposits above and slightly below the gum margin. The dentist and hygienist will monitor your gum health in order to ensure that gingivitis is under control so it does not progress to periodontitis. If the diagnosis of Periodontitis is made referral to a Periodontist might be necessary especially if disease is advanced. 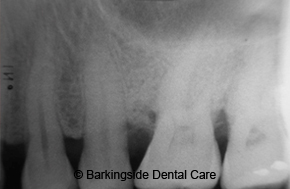 Periodontitis : It is an advanced form of gum disease which causes loss of the supporting tissues of the tooth so teeth present with reduced bone height and gum pockets. 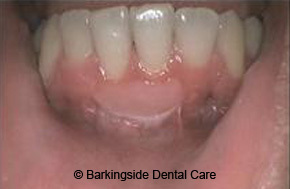 Gum pocket is a deeper than normal crevice between the root of the tooth and the gum where pathogenic bacteria harbour. 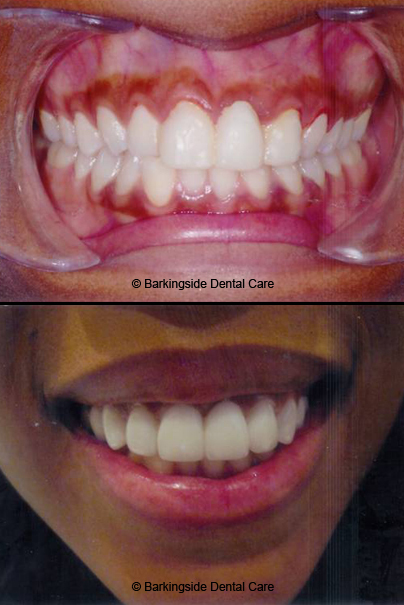 There is a variety of non-surgical and surgical periodontal treatments. 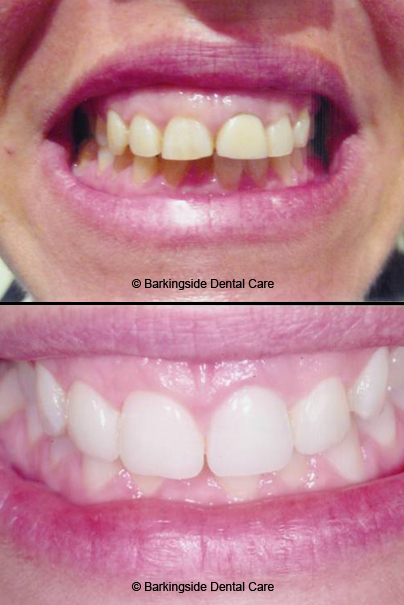 Periodontal therapy is best carried out in systematic treatment phases. The initial phase or cause related therapy. During this phase we aim to resolve gum inflammation , reduce gum pockets and eliminate factors that attract plaque in the mouth. We also assess risk factors such as smoking and we try to reduce their impact on disease progression . 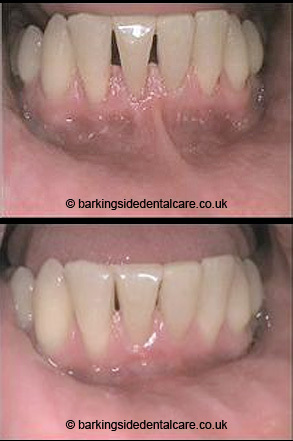 The treatment is non-surgical and include gentle deep cleaning of the root into the periodontal pocket . 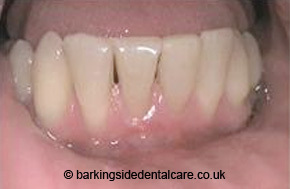 The above procedure is carried out under local anaesthetic and is also called root planning or debridement. 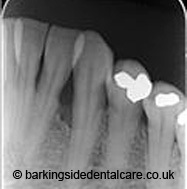 The gums might feel a bit sore for a few days after and gaps might get bigger in between the teeth as gum inflammation resolves. In certain cases teeth might feel sensitive to hot and cold for a few weeks after the deep cleaning but this can be helped by the application of fluoride other products at home and at the practice. 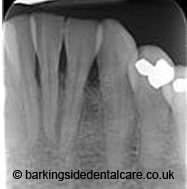 If teeth are very loose we might decide to splint them prior to root planning . In cases of severe periodontal disease we might decide to use systemic antibiotics as an adjunct to mechanical treatment. Local delivery of antimicrobials might be applied on sites of resistant periodontal pockets and where periodontal surgery is contraindicated. 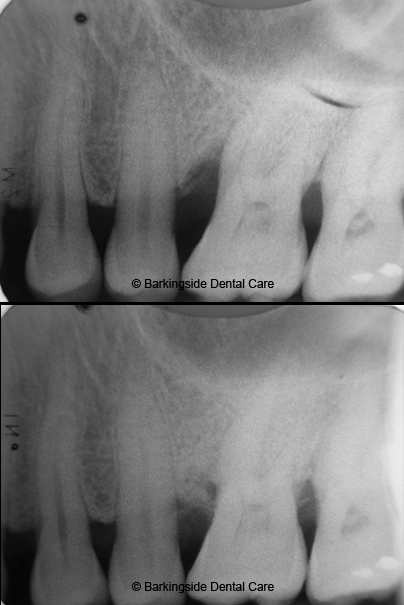 Photodynamic disinfection is a new concept where a laser light is dire cted into the periodontal pocket during non-surgical treatment and with the help of a dye it targets and kills periodontal pathogens. 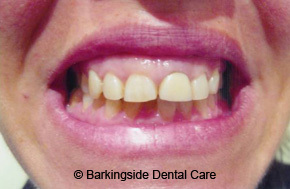 The patient’s response to non-surgical treatment will be re-evaluated within a period of 2-4 months to assess the need for further periodontal treatment which might be surgical. 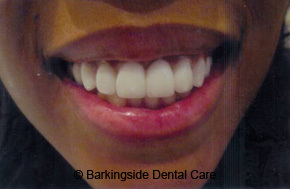 This phase of treatment aims at treating teeth with residual deep pockets following the initial phase of treatment . 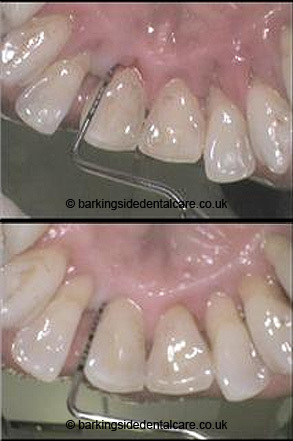 Periodontal surgery : as a part the corrective phase will aim to reducing pockets further and also create a tissue architecture which allows the patient to clean between the teeth more effectively. 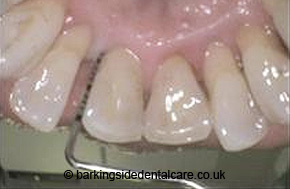 Periodontal surgery procedures are carried out under local anaesthetic and they do not normally cause pain and/or swelling afterwards. Periodontal regeneration surgery : Periodontal disease leads in loss of periodontal support and often bone defects are the result of that process. Regenerative procedures can reverse some of the damage by regenerating lost bone and supporting tissue. 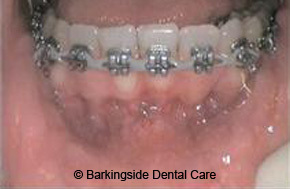 The above procedure is a minor surgical procedure and is carried out under local anaesthetic. In order to achieve periodontal regeneration the utilisation of certain regenerative materials is necessary such as membranes , bone grafts and tissue stimulating proteins which encourage the body’s natural ability to regenerate bone and tissue. Periodontal Plastic Surgery : Includes a number of minor surgical procedures which aim to improve the appearance and function of the soft tissue(gum) around teeth and implants. The above procedures are also important in order to build the framework for an attractive smile and also improve function and facilitate oral hygiene measures. Periodontal disease is the kind of oral disease that has no cure. All the treatment modalities we apply aim to arrest disease progression and in cases of severe disease to slow down progression. Once a patient has been diagnosed with Periodontitis disease activity is likely to reoccur at any stage of his/her life and even after treatment is provided. Supportive periodontal care aims to monitor periodontal disease activity through regular assessments , hygienist’s visits and periodontal treatment whenever necessary. Importance of periodontal health in relation to our systemic health. Research has shown that periodontal disease affects almost 90% of the adult population. Latest medical research shows a link between periodontal disease and heart disease. The above research indicates that periodontal bacteria byproducts directly or indirectly cause an inflammation of the blood vessel wall which results in blockage of an artery. This may be how periodontal disease could lead to a heart attack. Periodontal disease has also being linked to diabetes. Research has shown that the relationship between periodontal disease and diabetes is bi directional . If you have diabetes you may be at a greater risk of developing other medical conditions including periodontal disease. Periodontal disease may make more difficult for people who have diabetes to control their blood sugar suggesting that treating patients with periodontal disease could decrease insulin requirements. adverse pregnancy outcomes( low birth weight or preterm ). Treating periodontal disease during pregnancy and even more before conception may reduce the above risk. 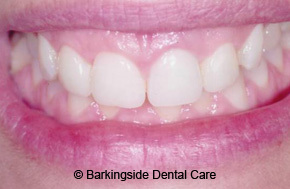 Dentist in Barkingside , Essex provide treatments for gum disease, bleeding gum, gingivitis, gum infection and periodontal in Redbridge , Ilford .